Winter is really dreary in Vancouver, but cold days makes for the perfect days to enjoy a big warm cup of cocoa. Now you know me, I do not do anything small, instead I try to just always be a little bit extra because life is too short to not enjoy every moment! 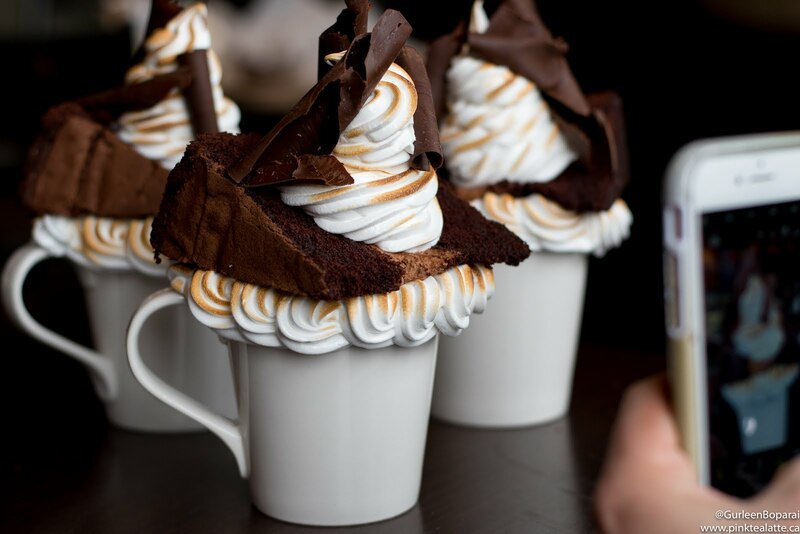 That is why when I heard Foodora paired up with True Confections to create the most extravagant hot chocolate ever, I just had to go try it for myself. 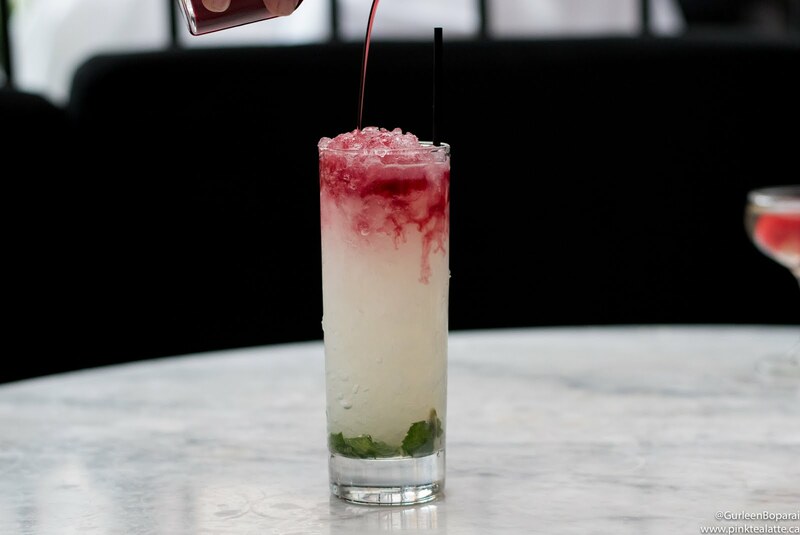 The 'Torch'd Devil' is not just about looking magnificent, it tastes amazing too! I also might have just discovered my new favourite chocolate cake and also really want to go back and try the Coconut Custard Cake. 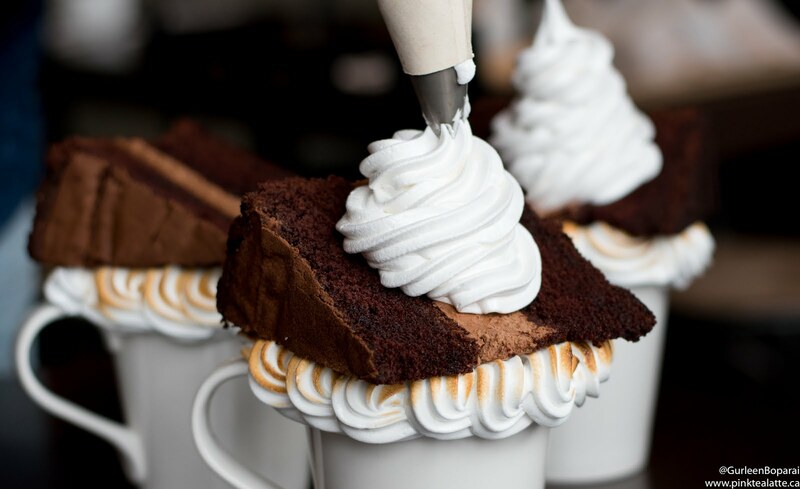 True Confections' took their signature hot chocolate and gave it an ooey gooey makeover in celebration of National Hot Chocolate Day. 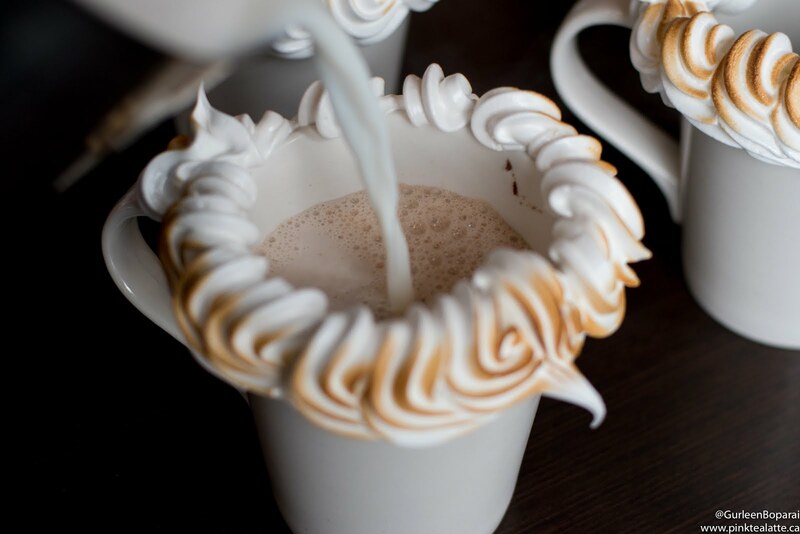 It starts with a piping hot mug of hot chocolate which is made with two scoops of 68% dark Belgian chocolate ganache and steamed milk. 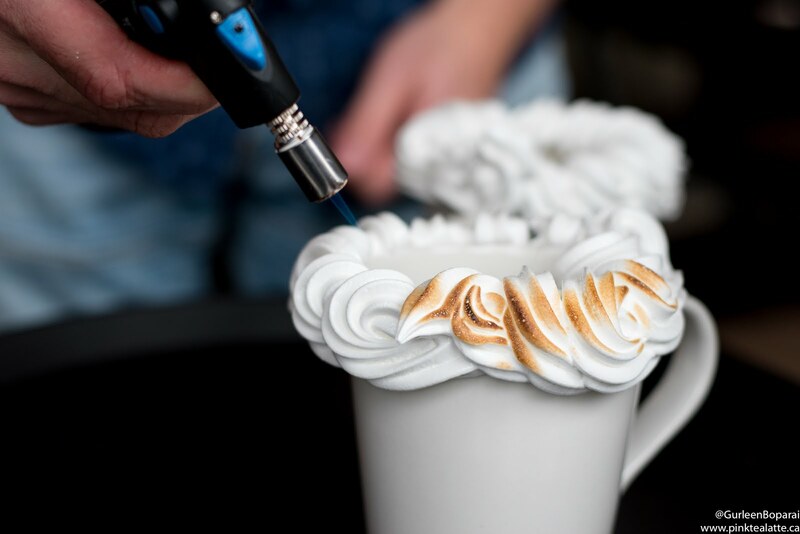 The 'Torch'd Devil' is Head Pastry Chef Thomas Chambers' creation, so it was really exciting to watch him make this devilishly good hot chocolate for us. 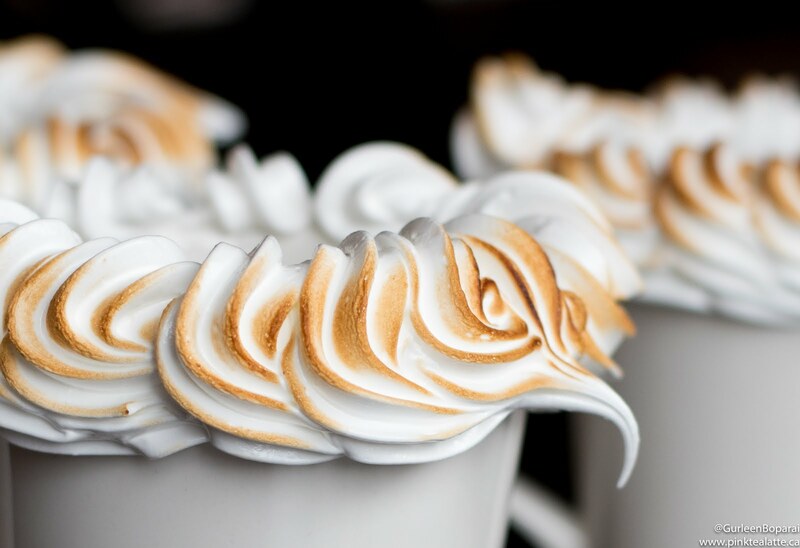 Watching Chef Thomas pipe the marshmallow Italian meringue onto the mugs was like watching an ASMR video. 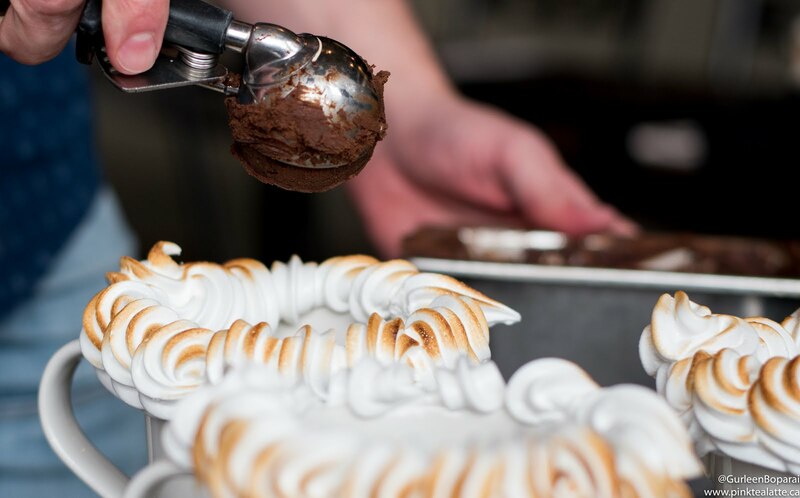 He piped the rosettes perfectly and then pulled out his chef's torch to brûlée the meringue until it was beautifully golden. What followed was a slice of True Confections' Devil's Chocolate Food Cake. The chocolate sponge was light and in the middle was a generous layer of airy chocolate mousse. The cake was topped with more of that toasted gooey sticky marshmallow meringue and giant chocolate curls. The most shocking part is that the massive slice of Devil's Chocolate Food Cake was actually made half the size of their "normal" cake slices, so it would fit on the hot chocolate. True Confections probably has the biggest and tallest slices of cake that I have ever seen in my entire life and I feel like will ever see in my life. 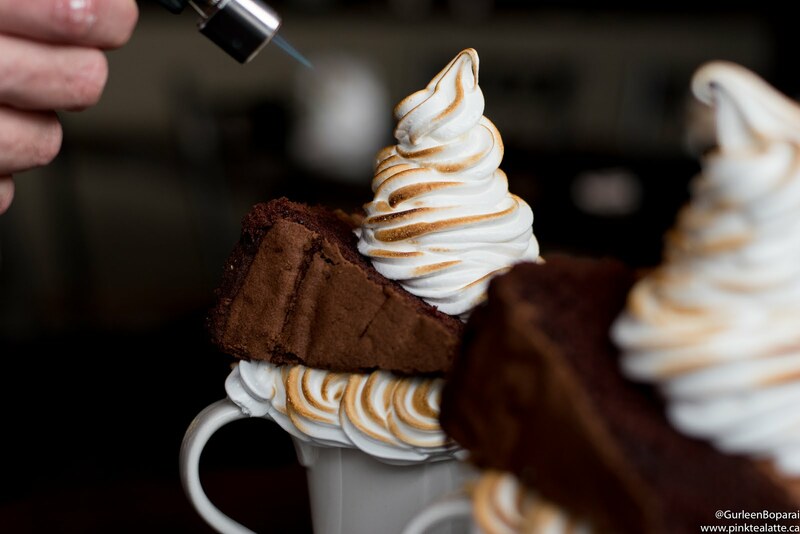 Starting January 31st, a.k.a National Hot Chocolate Day, to February 6th, the 'Torch'd Devil' will be available exclusively through the Foodora App. So you can either order it in advance or while you are at True Confections. 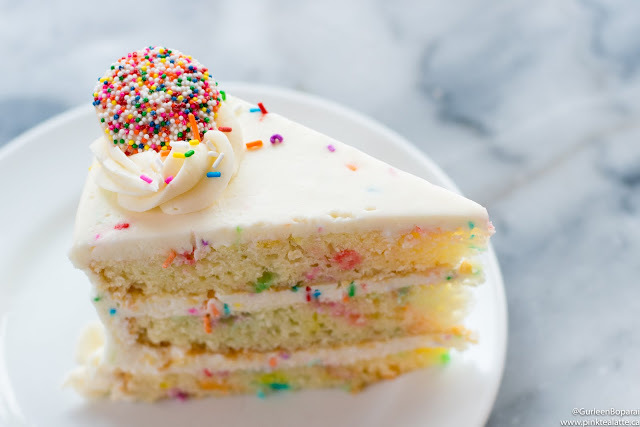 To really get the full experience, you will want to enjoy it at the bakery! Also, it will only be available at the 866 Denman Street, Vancouver True Confections location. Media preview for review consideration; all opinions are my own. Affiliate codes used. My FreshPrep cooking endeavours continue with me making their Chana Masala and a side of Roasted Sweet Potatoes. I consider myself an expert at Chana Masala - eating - plus me being Indian only meant this recipe is being held up to some pretty high standards. Oh, and I have never made Chana Masala, but I do eat it once a week! I love beans and lentils because they are a great source of protein and energy and are often supplemented in place of meat. Beans are also really versatile ingredient and is used in just about every cuisine. 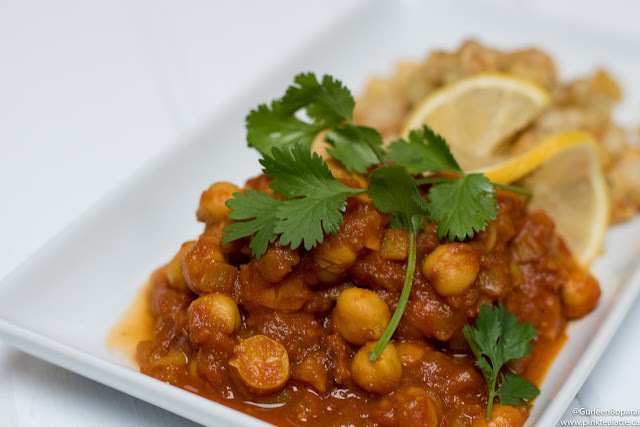 Traditionally, chana masala is either eaten with a fried indian bread or rice since the two together are considered complimentary foods and would provide you with all 9 essential amino acids (the building blocks of protein). The other amino acids our body can produce; however, the remaining 9 are categorized as essential and need to be obtained from our diet. So by having both complimentary foods, you are able to get all 9 of those essential amino acids making it a complete protein source. Beans and rice are the most common pairing for a complete protein source, so I was curious why FreshPrep chose to use sweet potato as a side. I did a little research sweet potato's protein content and learned they contain all but one of the essential amino acids, but overall, do not contain very much protein albeit a little more than rice. So when comparing the two, sweet potato could be argued to be better since it has half the amount of calories, but food is also about enjoyment. I love my curries with rice, so I am probably going to continue having it! Chana Masala is a classic Indian curry, so my mum wanted to see how I would make out on my own. Just like our family, the recipe used canned chickpeas because they are far quicker than used dried beans. The garam masala and spice mix was really good and gave it the right flavour. What was different from how my mum does it was that the recipe used canned tomatoes while my mum uses fresh ones that she then purees. I loved the addition of lemon juice because it gave the curry the tang I love which generally comes from the tamarind sauce we add. Was it the best chana masala I have ever had? Nope. I know FreshPrep recipes are meant to take less than 30 minutes, but a good curry takes time to develop flavour. You want to let it simmer for a while, so the curry can thicken thus making it more concentrated in flavour and more of a sauce to the chickpeas. The ratio of curry liquid to chickpeas was off. We ended up with too much liquid, but mum's being the masters at cooking that they are just whipped out another can of chickpeas from the cupboard and added it in. I really did like this recipe and I am glad I got it because now I know that I can make one of my favourite curries. This is also a vegetarian, vegan, and gluten-free -friendly dish that is going to provide you lots of great protein. I strongly encourage you to try out their service because I genuinely think FreshPrep is an incredible service that makes cooking at home so much easier. Especially if you are like me who often does not have a full pantry at their disposal. It is real food, it is fresh food and the best part, you actually get to learn to make some really delicious recipes! Use my code PTLFRESH18 at FreshPrep to get THREE FREE PLATES! It also supports me and allows me to continue bringing you new and fun content. 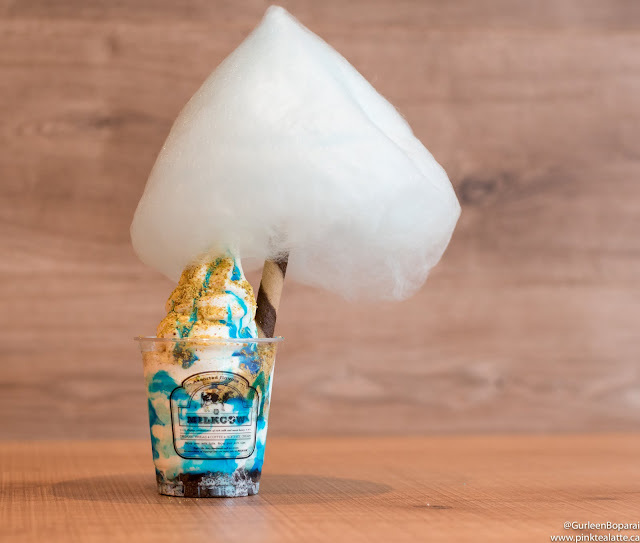 Vancouverites cannot get enough of cold creamy confections and it is no wonder when delicious new parlours keep opening here. 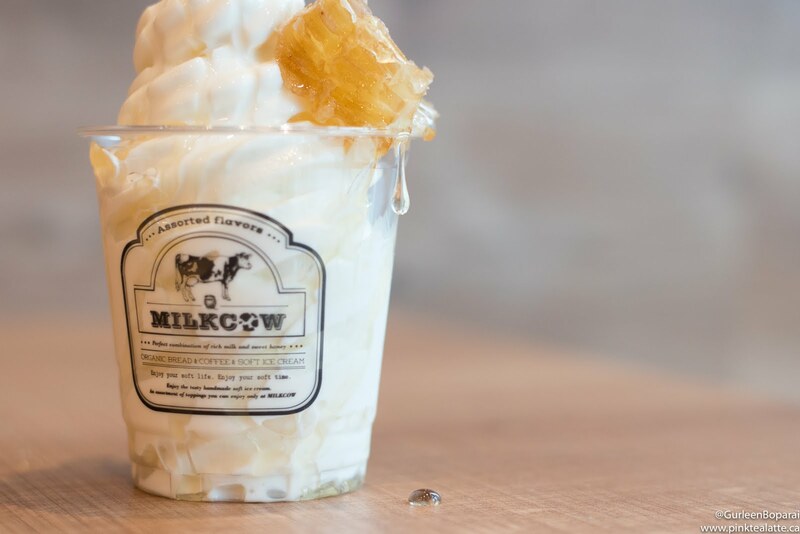 The newest addition to our soft serve scene (a sub category of ice cream that we are loving most right now) is MilkCow! I was not familiar with the brand, but MilkCow is vastly popular around the world and originated in South Korea. It is so popular that MilkCow is endorsed by the biggest K Pop Stars. So even though I only just discovered MilkCow, others have been in love with their soft serve for years. I got an exclusive interview with franchise co-owner, Tommy, and got to learn a little more about the company. Tommy and his brother - his business partner - first got hooked on MilkCow during his trip last year to San Francisco. One thing led to another and soon MilkCow's first location was approved. The soft serve is really nice both in texture and flavour. I appreciate the natural milk flavour is really highlighted in the soft serve and not masked by sugar. I prefer the soft serve to be a pure milk flavour because you can pair it with any type of topping. I was curious to know if you can milk soft serve sugar free and apparently it is very difficult to do so. 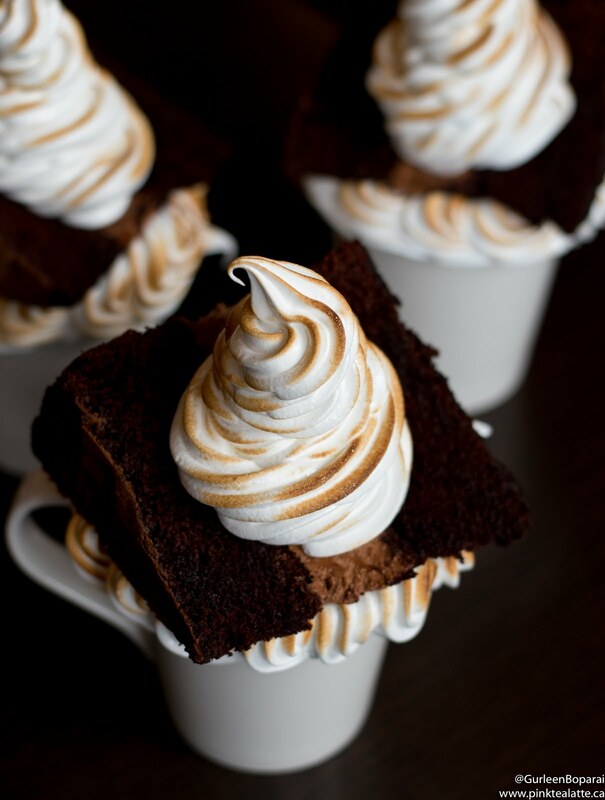 Sugar is necessary when making soft serve because the sugar molecules help stabilize the milk solids to ensure a good texture. 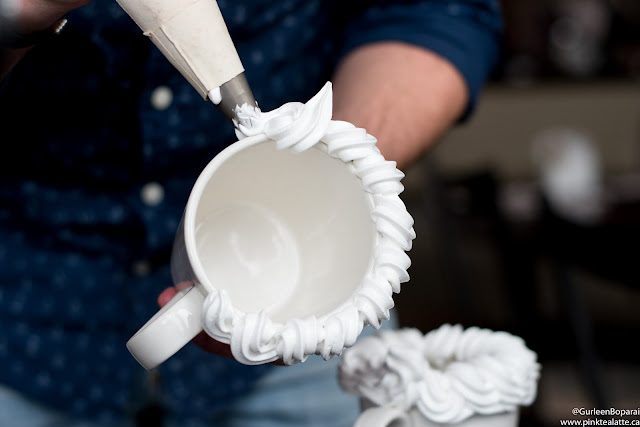 Without sugar, the soft serve would not have the lovely soft smooth texture. It did take Tommy quite some time to find the perfect balance between the amount of sugar and getting the milk flavour to shine through, but he did it! I just found that to be really interesting to learn. Also, their secret formula is primarily milk and cream, so you know you are getting the real deal here. I tired a few of their most popular flavours including their current feature, the Tiramisu. I started with the Milky Cube. A generous swirl of MilkCow's classic soft serve that is then garnished with a piece of locally sourced honey comb. The sweetness from the honey worked really well with the soft serve. I just do not know how to describe it other than - IT WAS REALLY GOOD. I suggest the Honey Cube because you get to really enjoy the milky flavour of their soft serve and then you can enjoy it a little sweeter with the honey. I love the wax in honey comb, but if you do not like natural honey comb wax, choose the Milky Honey as it is a drizzle of natural liquid honey. The next one I tried is the tiramisu and it also happened to be Tommy's personal favourite. The cup is lined with espresso soaked lady fingers and then filled 3 quarters of the way with their signature soft serve. The cup is then filled with their secret gooey cheese - yes cheese! 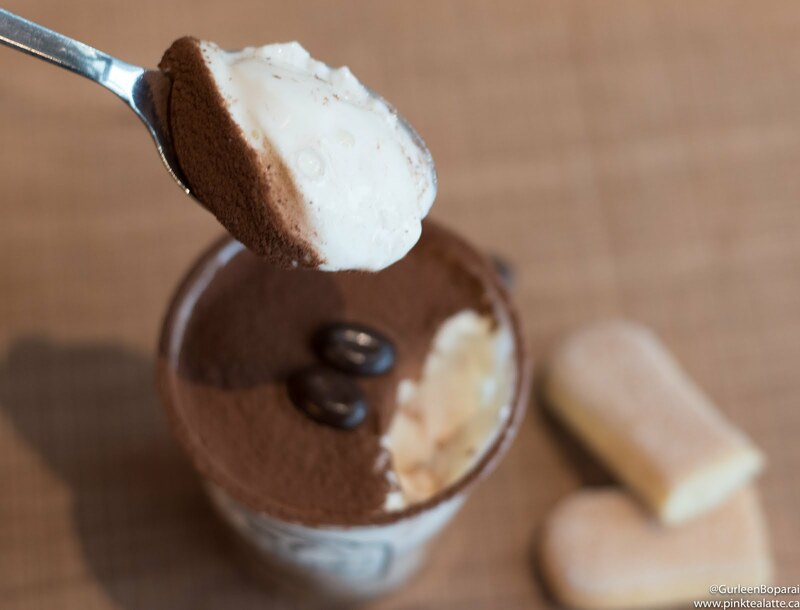 The tiramisu sundae is finished with a dusting of cocoa powder and two chocolate coffee beans. Do not be frightened by the cheese because it is so good. It is sweet and adds another texture and just really reminds me of a slice of tiramisu. It also reminds me of those cheese topped bubble teas that were a huge trend last fall. I did press Tommy for details; however, he would share the secret behind blend of cheeses. Personally, my guess would be a combination of marscapone, cream cheese, butter and powdered sugar. Also, why is it when anything is dusted with a powder, like icing sugar, cocoa powder or matcha powder, I basically end up inhaling it and then choking on the powder particles. I cannot be the only one who does this when they take a bite?? It is so embarrassing because I was just hacking with a mouth full of soft serve. Super attractive. I finished off my lunch of MilkCow soft serves with the Santorini. 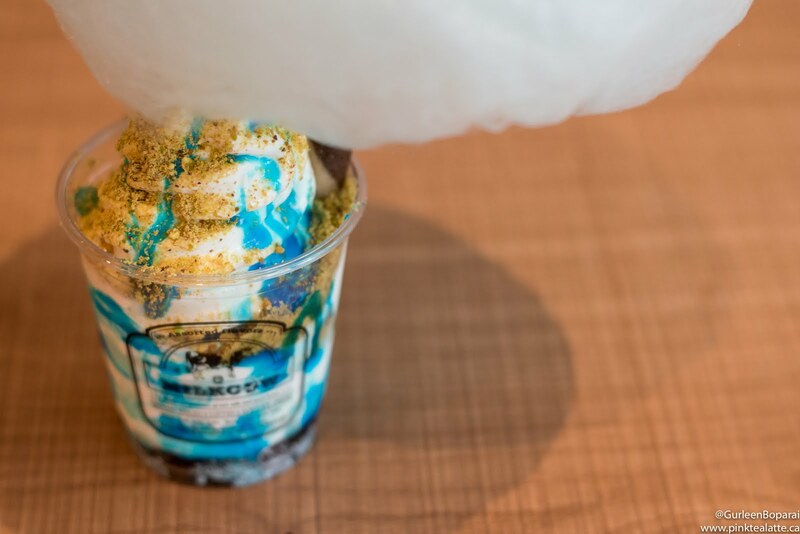 The cup is filled with oreo crumbles, filled with a swirl of their soft serve, topped with tropical blue syrup and pistachio crumble and then garnished with a chocolate cookie straw that holds up a fluffy blue cone of cotton candy! Lots going on in this one! 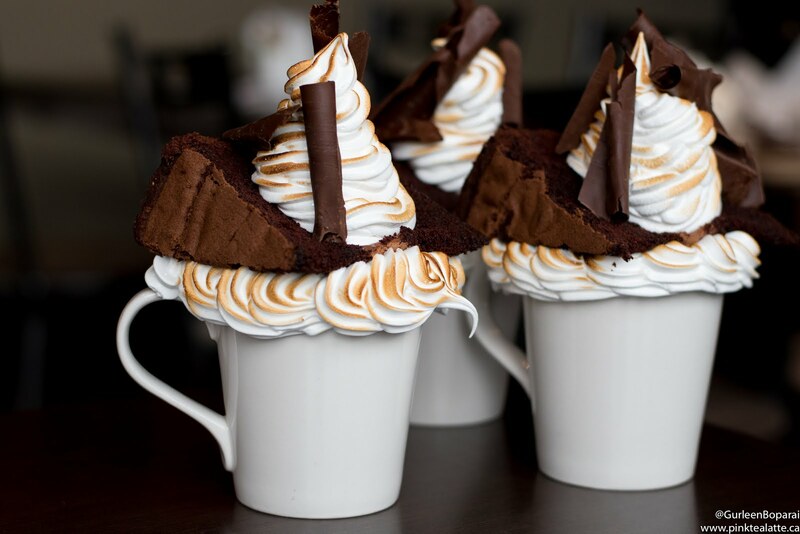 It is a fun sundae with a really dramatic cool look. It tastes like a blue raspberry candy and then when you get to the bottom you get the cookie pieces. It reminds me of being a kid because you just have fun while eating it. 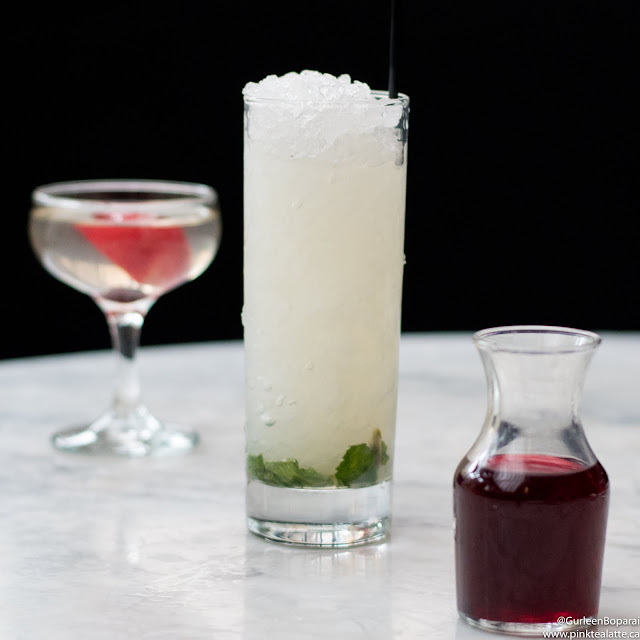 This is only the beginning for Milk Cow because Tommy has a lot of fun things in the works. Over the months he is going to introduce bubble waffles, milkshakes and bubble tea. I personally am really excited for the bubble waffles because I love how the exterior is crunchy, but the inside is soft and yummy. 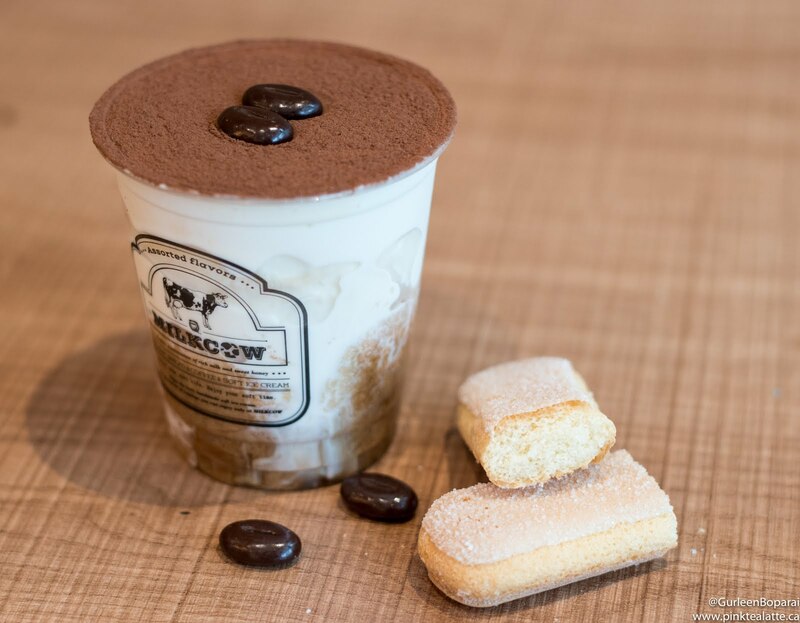 MilkCow is now open in Richmond and only a two minute walk from the Richmond Olympic Oval. It is a little tricky to find, so look for the T&T as it is across from the MilkCow storefront. I myself will be returning there soon to try a few more of their flavour concoctions like the Macao dream which is crushed almonds and macarons - YUMM! Tiramisu so good!! My favourite! I am by no means a vegan, but I often do choose vegetarian options because I do not enjoy the texture of meat very much. Roots and Fruits is a vegan cafe located at the edge of Downtown Vancouver. It is a little tricky to find as it is wedged between a Starbucks and Subway so keep that in mind when you are looking for Roots and Fruits. First impressions, the space is narrow and white. Very chic clean, almost a sterile like feeling. I liked the old grain harvesting tools that were hanging on the wall. I do not often attend tastings, but I was curious to visit the cafe, so I decided to go. It was quite an extensive tasting. We tried three of their bowls, a toast and one of the warm drinks. I was greeted with a steaming hot mug of their Turmeric Ginger Winter Warmer which was a blend of organic turmeric, ginger hot apple cider and star anise. It was perfect for the winter and definitely warmed me up, but the star anise garnish completely overpowered the drink. All I could taste was anise and it kind of made my tongue numb, so I could only get through half. I think without the anise garnish, the drink could have been lovely. 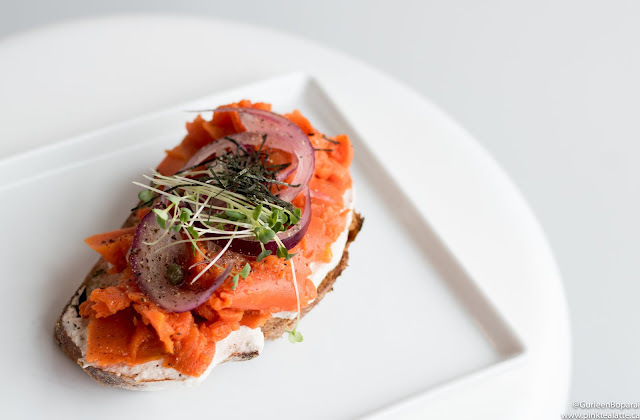 The best dish of the night for me was the starter, a vegan Lox Toast. Despite it being completely fish free, the smoked carrot legitamently tasted like salmon! It was the most weird confusing moment of my life! The bread had a smear of dill cashew 'cheese' and finished with some raw onion, capers and nori. Roots and Fruits did a fantastic job on this toast! The Beet Poke Bowl is essentially a vegan version of Vancouver's current favourite obsession, the Poke Bowl. Of course, just like the Lox, there is no fish, instead tamari golden beets is the "fish." Beets have a strong flavour and a dish that centers primarily around beet - you will only taste beet. Also in the bowl was brown rice, wasabi cashew creme, onion, avocado, pinball salsa, pickled ginger, kale and ginger. I ended up trying to eat around the beets because that is a lot of beets for me hahaha. The pickled ginger and pineapple salad did help brighten the bowl. I felt beat by beets. I was really excited for the Southwest Bowl because I am a huge fan of Mexican cuisine as well as the more casual TexMex. 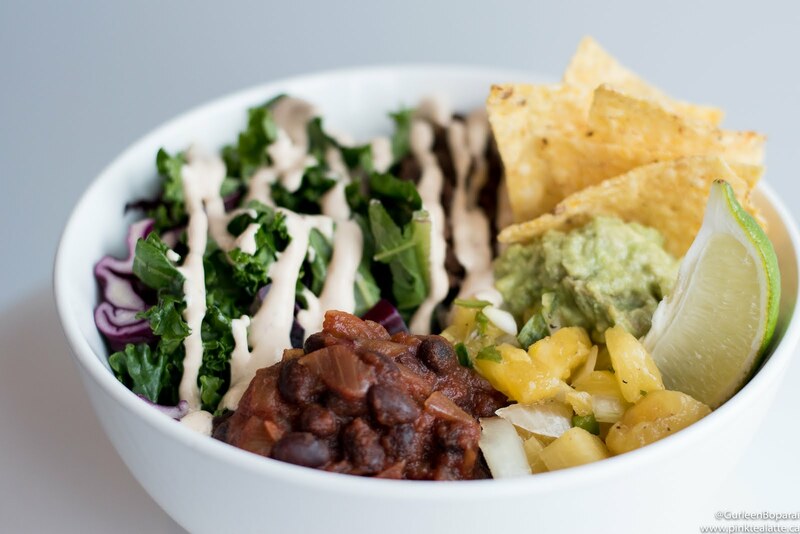 The 'meat' was a blend of walnut and cauliflower and then there was a black bean chilli, guacamole, pineapple salsa, kale + cabbage, brown rice and a chipotle cream. I wish the 'meat' was shredded tofu because I find the texture to be much better. I enjoyed this bowl more than the previous one; however, it seriously needs more seasoning. More salt, more spices and maybe a little more tang. 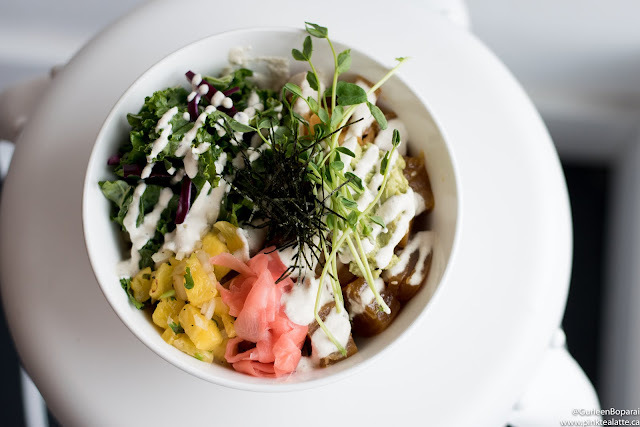 The last bowl I tried was the Dal Curry which was a warm red and green lentil curry over brown rice and garnished with pickled vegetables and cashew cream. Dal is indian and unfortunately for them, I am an Indian who despises dal lentil curry. Needless to say, I ate everything, but the dal. The flavour was good and I overall found it to be better because dal is already a vegan dish, so Roots and Fruits was not trying to mimic a meat flavour. Roots and Fruits was a bit of a miss for me which is a shame because there are not many vegan cafes in Vancouver. I struggle with the concept of trying to mimic animal products because why would you want to be reminded of meat when you are trying to avoid it? Vegetarian food is delicious and that is coming from someone who only eats vegetarian dishes at home because my parents are vegetarian. I have dined at delicious vegan friendly restaurants - Acorn being my favourite - and I feel they are far more successful because they focus on highlighting the vegetables. It is always really exciting when a local Vancouver-based company grows into a successful globally recognized brand. Native Shoes first came to fruition in 2009 and has since exponentially increased their style offerings. 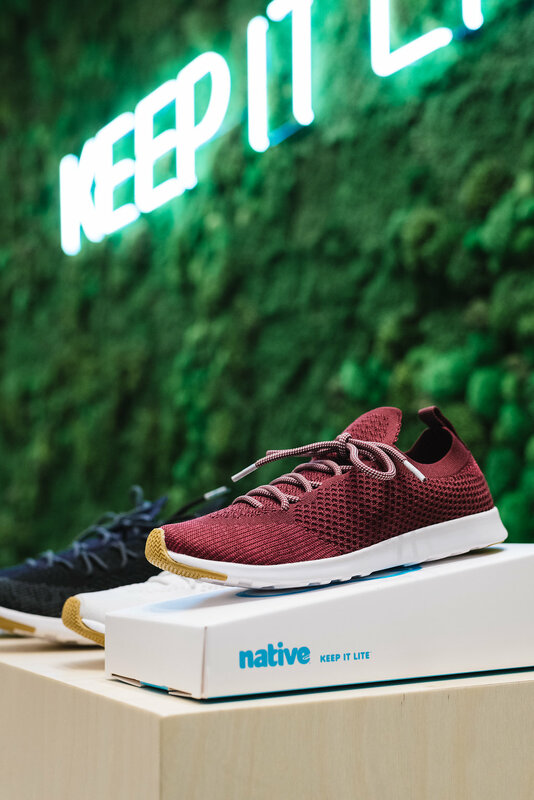 As soon as this space became available on the market, Native Shoes did not hesitate and secured it as their first brick and mortar location. Gastown is the perfect fit for Native Shoes and the shop is gorgeous. I was immediately drawn to the west wall, a stunning Monolithic moss installation of varying shades of green. The coolest part about the wall is that all of the moss is collected from forests surrounding Vancouver. Since the wall is living, it is misted daily to ensure it remains healthy. 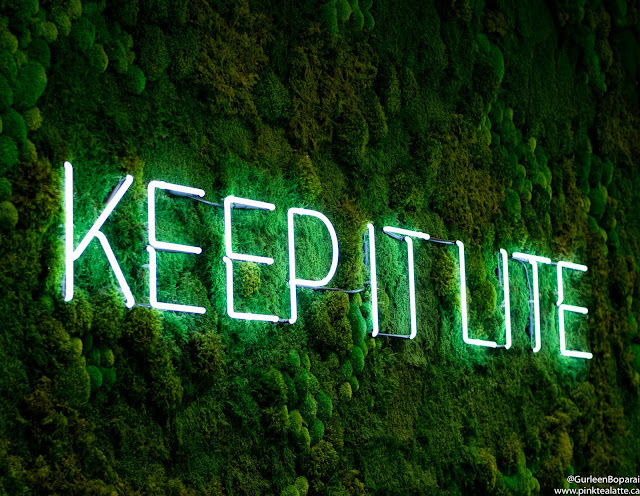 Affixed to the wall is Native Shoe's mantra, "Keep it Lite" which casts a lovely glow. 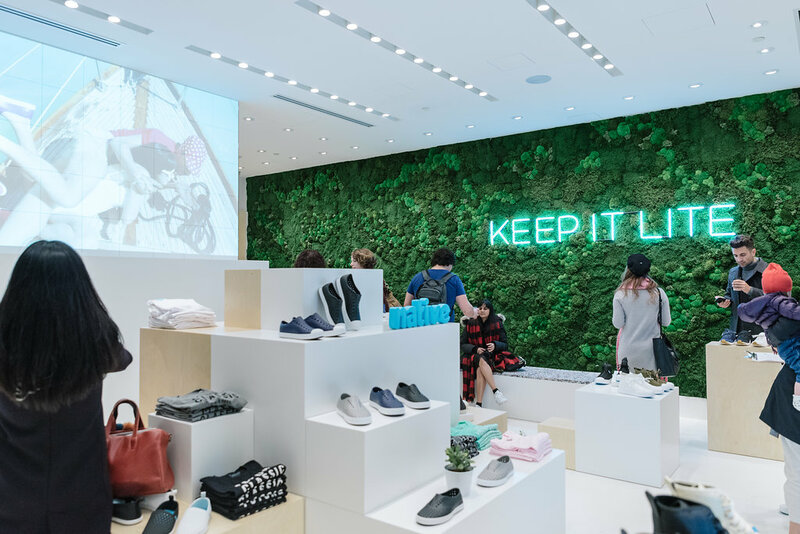 It stands for both the "lite-ness" of their shoes as well as the philosophy of not taking things too seriously, but instead focusing on putting smiles on people's faces. The wall and sign makes me so happy because I love the refreshing earthy smell from the moss. I seriously want the moss wall in my home because it has such a nice refreshing smell. Plus, the green is gorgeous! Accent wall anyone? When I am shopping for sneakers my biggest requirement is comfort. Strappy heels or cute flats will most likely be uncomfortable, but my sneakers cannot be. Native has done an excellent job at designing a shoe that is not only aesthetically cute, but are a joy to wear. The majority of their shoes are molded from EVA (ethylene vinyl acetate), which gives the footwear its iconic lite-ness. Newer styles are featuring other materials, but everything at Native Shoes remains "Beast Free." No animal products are used in the making of their shoes and they take it seriously because even the glue is beast free which is why Native is PETA approved! Besides the inherent lite-ness, the EVA overtime molds to the contour of your foot making it almost like a custom fit. 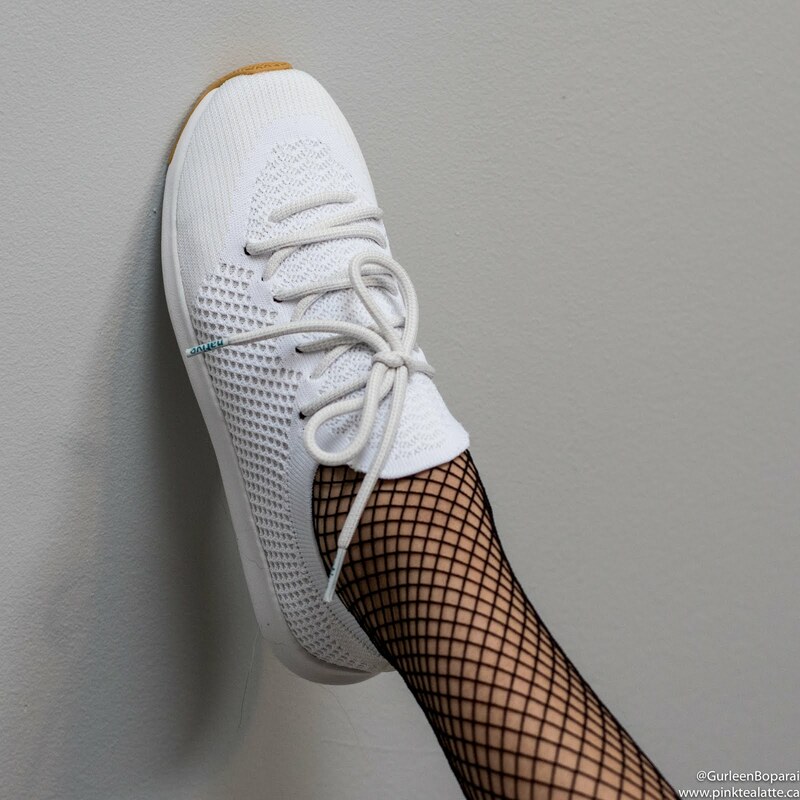 I got a pair of AP Mercury LiteKnits in white and they are seriously amazing. EVA and knit material is so light weight and since it also shapes to your feet, it almost feels like you are barefoot. For sizing, I Native Shoes to fit true to size. Both my Vans Classic slip ons and Nike Free Runs are a women's size 6.5 or 36.5. I like them being a bit snug, so the shoe almost feels like a sock. The current silhouettes are Native Shoes are definitely lifestyle and not meant for working out. They are great for day to day at work or running errands. In the summer I want to pick up a pair of Jeffersons which are constructed from a single piece of EVA. It is a bit embarrassing, but my feet always set a lot in the summer which means my shoes start to stink. The Jeffersons are perforated making it breathable and more importantly, I can just hose them down when they really start to smell. Native Shoes is dedicated to creating light weight shoes that are 100% Beast-Free. All of the materials right down to the glue is completely vegan. So if you have been searching for vegan shoes, I highly recommend popping into Native's Vancouver flagship located at 14 Water Street in historic Gastown. This was my first time making salmon and I think I did really good. The fish came out moist, flakey and full of flavour. 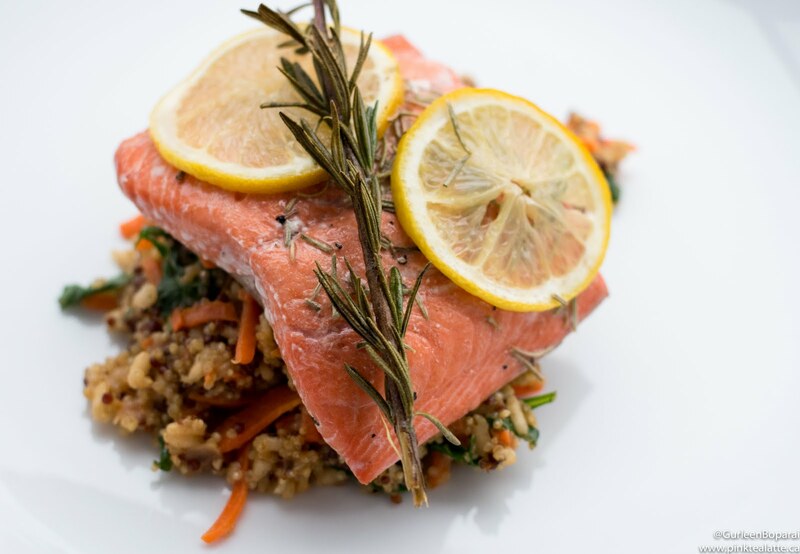 I am so proud of myself and this gives me the confidence to make more salmon in the future because it is really good for you (Canada's Food Guide recommends two servings of fish per week). With the salmon, I had a side of ancient grain risotto which again, to my astonishment, turned out really good, perhaps even perfect. The salmon was easy to make. It came pre-portioned and filleted with the skin removed. All I had to do was toss it on a sheet pan, season it with lots of fresh lemon juice, salt and pepper, dried rosemary, olive oil, slices of lemon and a fresh rosemary sprig. Citrus always brings out the flavour of fish, so be generous with the lemon juice! I pulled it out of the oven around 10 minutes and let it sit and absorb all the juices. I really made sure I followed the instructions for the risotto because if I have learned anything from Chef Ramsay, risotto is a tough dish to master. I did manage to burn the onions, so they were dark instead of translucent. The parmesan made the risotto creamy and gave it a nutty flavour. I would add a side of vegetables and it is really easy to do with this recipe. You can toss some carrots and broccoli seasoned with salt and pepper into the oven with the fish. It could not be any easier because you literally could just put it on the same try as your fish. You can get 3 free plates if you have never used FreshPrep by using this LINK. My picture got reposted by Narcity Canada YAY! WOOT WOOT! 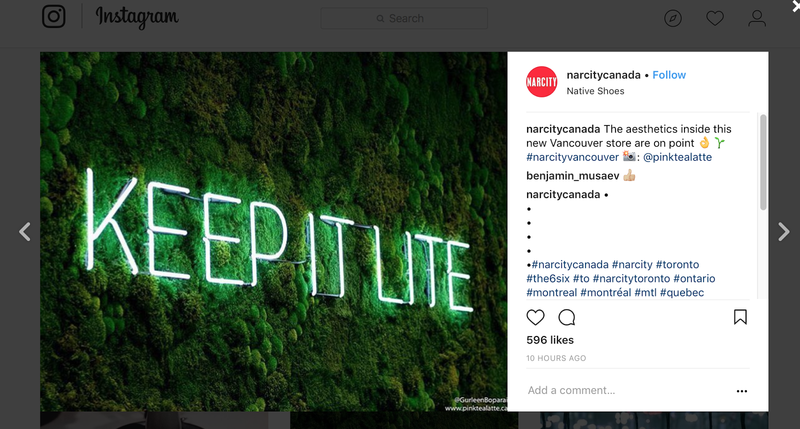 @NarcityCanada reposted my picture! 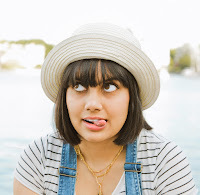 I work really hard on my blog which includes writing all my own original content, maintaining my website and taking pictures. So when my work is liked and appreciated by a massive media company, I cannot help but get really absurdly excited! Narcity Canada (@NarcityCanada) just reposted the picture I took of Native Shoes' monolithic wall and their mantra "Keep it Lite" in neon lights. I started watermarking my images last year because I found my pictures were being taken from Pink Tea Latte or my Social Media channels and being reposted by other people. The internet is really big and when you publish something online, you cannot stop people from re-using your work. Since it had happened to me a few times, it started to bug me, especially when large Instagram accounts were doing it. I still have people take my pictures and crop out my watermark before publishing it on their pages, but the fact Narcity kept my watermark AND give me credit makes me respect them that much more! I seriously cannot contain my excitement. Literally doing a leap of victory! You have probably heard or been to one of Glowbal Group's exquisite restaurants. 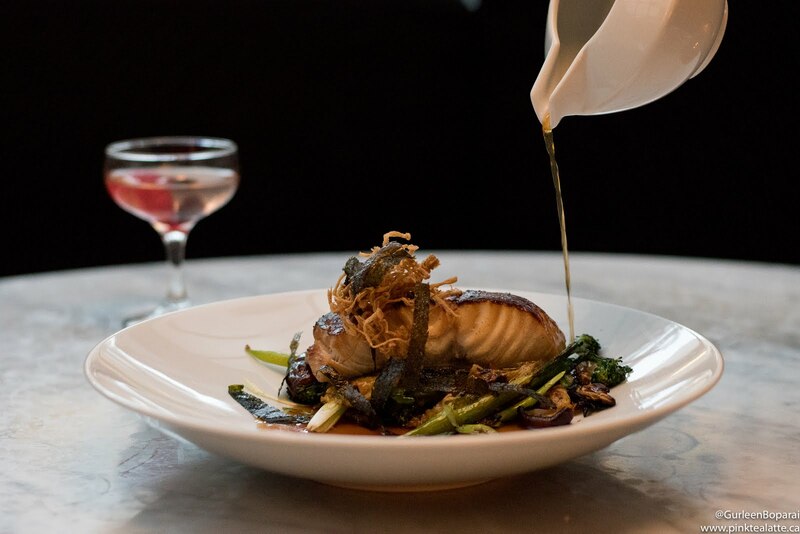 The majority of their restaurants are located in the downtown core and include Italian Kitchen, Coast, The Roof, The Fish Shack, Nosh, Black + Blue, Trattoria and their namesake Glowbal. One thing common across the restaurants is the impeccable service and flavourful food and that is why I have had three birthday celebrations with them. 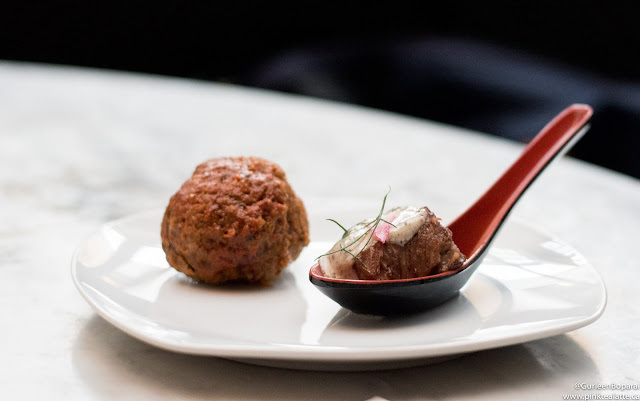 I had the opportunity to attend a private dinner tasting at Glowbal and it was phenomenal. Let me start by saying, I genuinely felt like a princess that night! Dinner began with a small plate of Buttermilk Parmesan Fried Chicken. 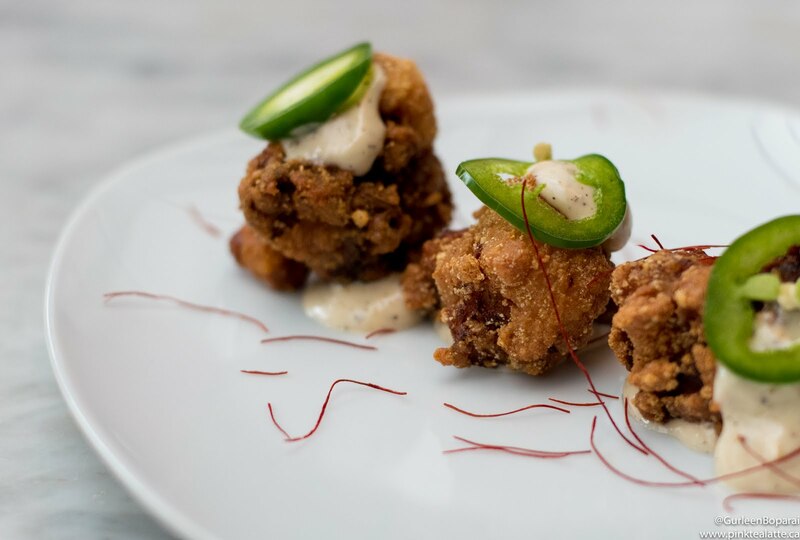 Perfectly crisp pieces of chicken garnished served with peppercorn lime aioli and a slice of jalepeno. This small plate was shortly followed by a massive Satay Platter. There was one of each satay that Glowbal has to offer: Lamb Kofta, Jerk Chicken, Signature Meatball, King Mushroom Tempura, Al Pastor Pork, Curried Tiger Prawn, Ginger Beef, Braised Short Rib and Bacon Wrapped Scallop. The Satays came with a ginger white soy truffle aioli and a siracha mustard sauce. 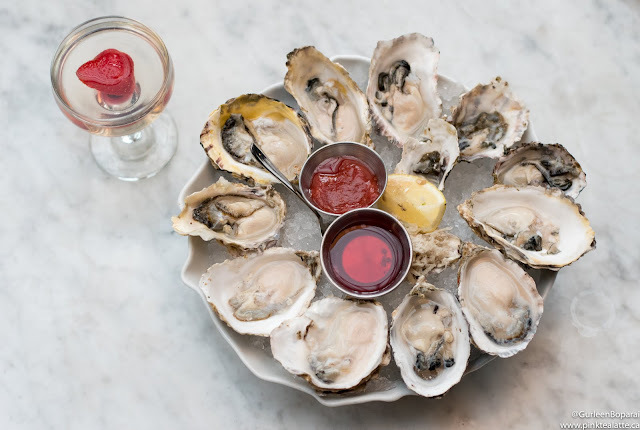 And there was still more, a dozen oysters chef's selection with a red wine shallot and chive mignonette. The fried chicken were little nuggets of crispy goodness that I could have ate a dozen more of. 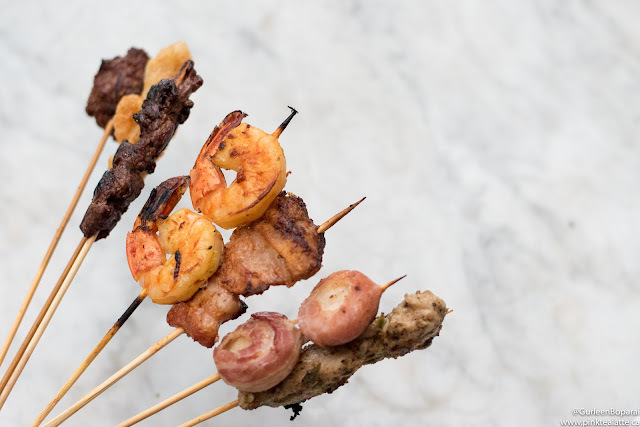 I have never been a big satay person, but I gave them a try. The chicken, prawn and scallop were divine. I would not get the king mushroom tempura again as it was quite oily. 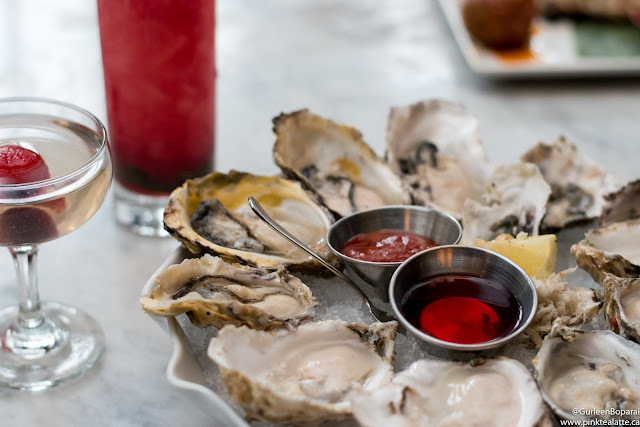 The oysters were presented stunningly; however, I actually do not eat raw oysters purely because I cannot get past the texture. My friend was thrilled though since he got all 12 oysters to himself which he happily devoured and gave two thumbs up to. Something I always look forward to at nice restaurants are cocktails. 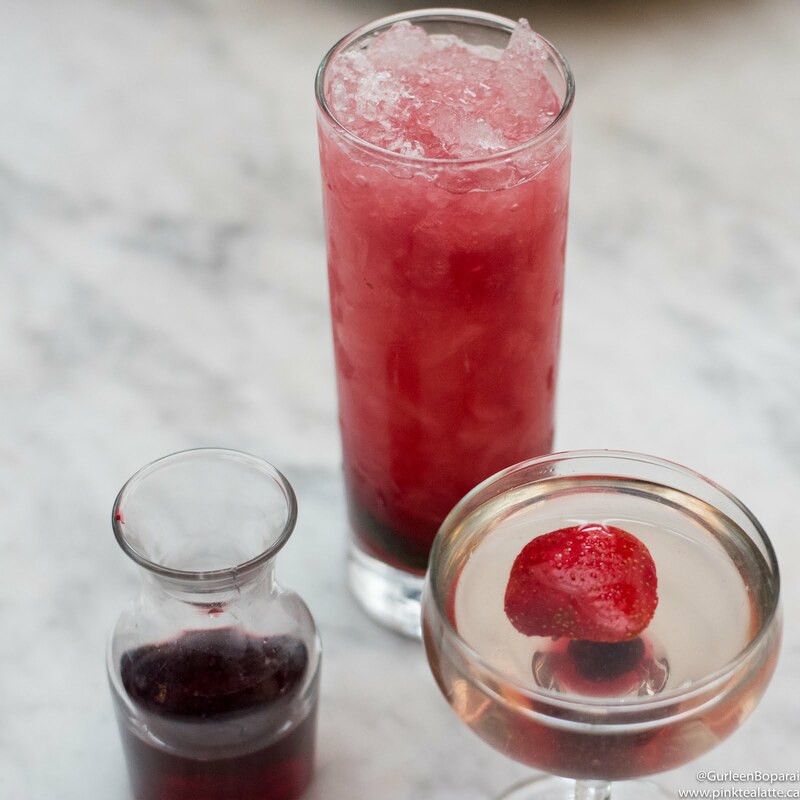 I asked for something fruity to which the server brought me their Pom and Elderflower, a divine combination of stolichnaya vodka, st. germain, lemon, syrup, crushed ice and a deep red pomegranate juice that is poured into the glass at your table. It was the perfect cocktail for me! The Truffled Spaghetti & Signature Meatballs is my favourite dish on their menu, so I was really excited when it was brought out to our table. The dish is rounded out by sweet tomato fondue, a tête de mine rosette (cheese) and earthy shaved truffles. I also got to try the Sable Fish on asian vegetables that was finished table side with a hot mushroom consommé and served with a side soba noodle salad. I was dining in the birdcages on the patio, so I really appreciated the steaming hot broth as it kept me and the dish warm. I loved the different textures and temperatures, the cool salad against the hot broth, the soft flakey fish balanced by the crisp asian vegetables. 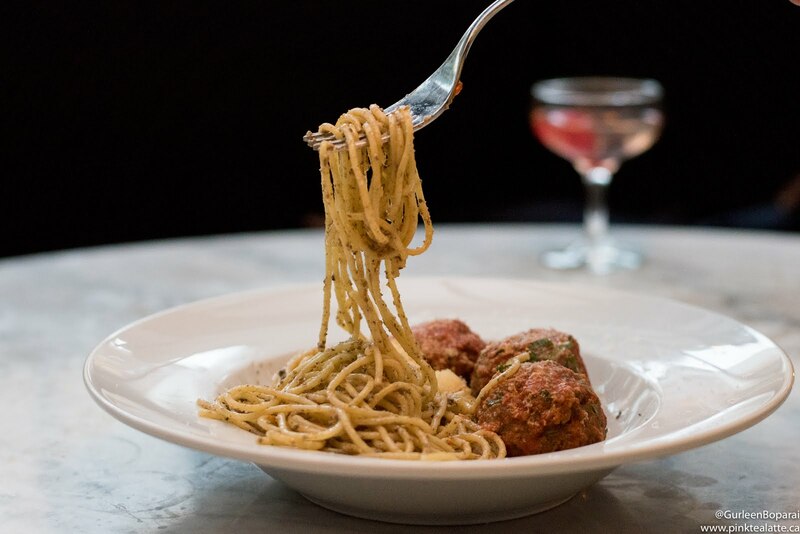 Really just excites your palate. The real surprise of the night was when the feature risotto arrived at our table. It was not part of the tasting, but since I had expressed my love of risotto they decided to surprise me. 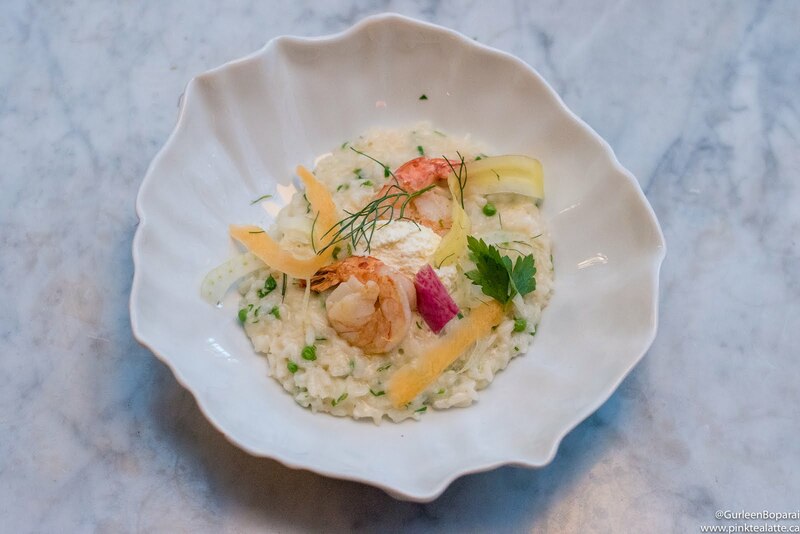 The risotto was perfectly executed and the creamy cheese ladened risotto was brightened with fresh green peas, shaved root vegetables and sweet prawns. The night finished on a sweet note, Zeppole al Cioccolato, their signature dessert at all of their restaurants. little Italian-style doughnuts filled with either a hazelnut cream or vanilla crème anglaise and a dusting of amaretti biscuit. By then there was no natural light left for me take pictures, so you will need to go and order it for yourself.